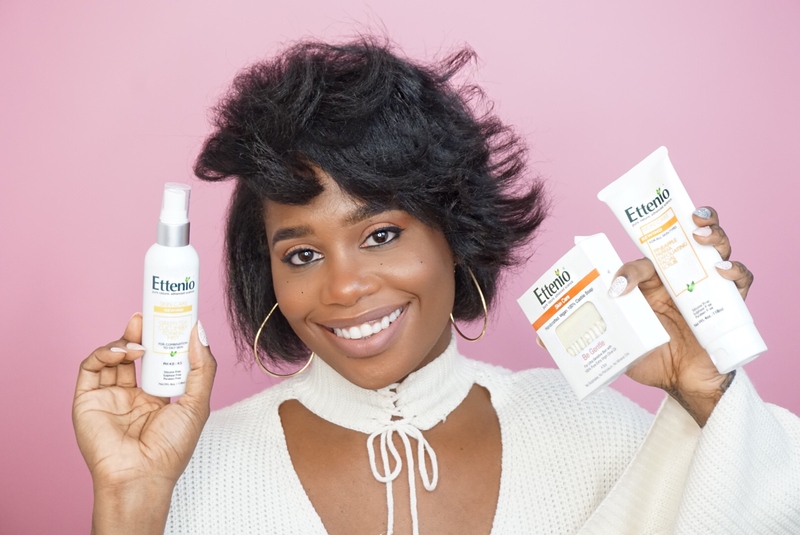 I’ve recently discovered some skin care products from a company based in Jamaica called Ettenio that I’ve been loving for my skin. 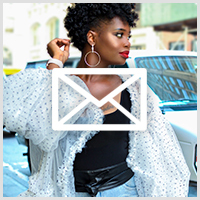 All of the products are Paraben-Free, Mineral Free, Sulphate Free, Petroleum Free, Silicone Free, Allergen Free and contains no artificial colouring and fragrances and are never tested on animals. 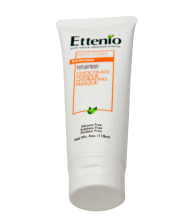 Ettenio pride themselves on using only plant based and organic ingredients which is why I love them so much. 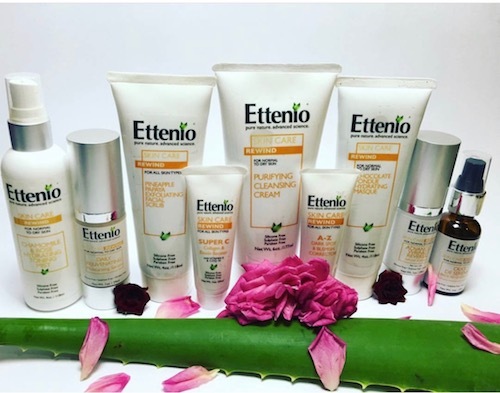 Here is my 5 step skin care routine using Ettenio products. I used the Be Gentle Castile Soap to cleanse my skin. 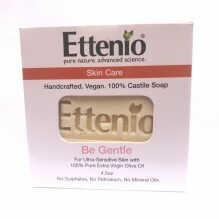 This soap is very gentle so much so that it can be used on infant skin. Its made with 100% Pure Extra Virgin Olive Oil with a creamy texture that gently moisturizes, soothes and calms the skin. 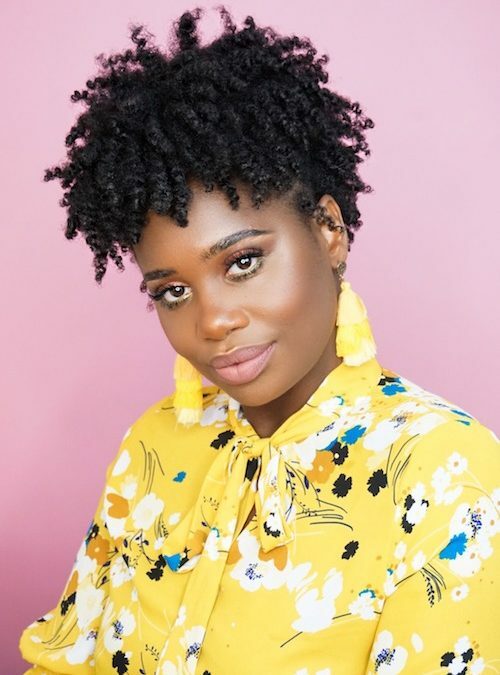 The Rewind Pineapple Papaya Exfoliating Facial Scrub is 100% natural and it helps remove dead top-layer of the skin to reveal your radiant complexion. The Chocolate Fondue Hydrating Mask is the perfect hydrator. It contains chocolate to improve blood flow to the skin and increase density and hydration. I allowed the mask to sit for 10 minutes and rinsed it out. To revitalize my skin I used the Green Tea Cucumber Toning Mist. Its very refreshing and hydrates the skin for a plump and toned complexion. 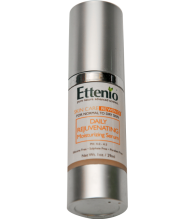 For the final step I used the Daily Rejuvenating Moisturizing Serum. It contains anti-aging Rose Hip Seed Oil, Argan Oil and Seabuckthorn Berry to maintain maximum hydration.